For expertly installed windows that will last a lifetime, choose Tight Line Exteriors. Kennesaw has a rich history and boasts historic homes, Civil War trails, and more. While an old city is charming, old windows are not! If your home has outdated windows, you’re letting money go right out the window. In fact, a typical homeowner can save up to hundreds of dollars a year by upgrading to energy-efficient windows. Since 2004, Tight Line Exteriors has been the first choice for Kennesaw replacement windows—so when you’re ready to save money every month on your utility bills by installing top-performing replacement windows, call us! Often confused with bay windows, bow windows are comprised of four or more windows configured to form a gentle curve. These striking windows are sure to be the focal point of any room, and they add as much exterior appeal as they do interior charm. Flood your room with natural light and enjoy a bit of year-round gardening with lovely Kennesaw garden windows. Features like energy-efficient glass, UV protection, and side vents allow you to enjoy the evening breeze and make a garden window a great choice for your Greater Atlanta home! 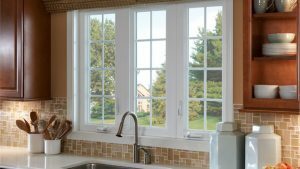 Perfect Kennesaw Home Windows for Any Home! We offer a comprehensive selection of Kennesaw home windows with all the superior features you expect from the area’s premier window replacement experts. All of our windows feature low-e glass, the Intercept spacer system, double-glazed panes, and many other features that provide exceptional performance and value! Even the best windows on the market won’t perform well if they are improperly installed, and that’s another reason to choose the experts at Tight Line Exteriors for your replacement windows! Our Kennesaw window installation team is highly trained and has the experience to ensure the job is completed flawlessly. Upgrade the windows in your Kennesaw home and add value, curb appeal, and energy efficiency! Contact Tight Line Exteriors today to learn more about our replacement windows and to schedule your free, no-obligation estimate. Just give us a call or fill out our online contact form to get started!